RICHMOND – The Virginia Film Office will host a free screening of the award-winning HBO documentary The Loving Story on Sunday, June 12 at 4:30 pm at the Byrd Theatre. The screening lands on the day chosen by activist groups across the nation to honor the couple that paved the way for marriage equality. The Loving Story, a documentary directed by Nancy Buirski, produced by Buirski and Elisabeth Haviland James, and written by Buirski and Susie Ruth Powell, tells the story of Richard and Mildred Loving, a Caroline County, Virginia couple who wed in 1958 in violation of the then Virginia Racial Integrity Act, and were subsequently thrown in jail. They were convicted of violating the anti-miscegenation law and forced to leave the state and their families. In order to return, they petitioned the court to overturn the ruling, bringing it all the way to the Supreme Court. The case, Loving v. Virginia, legalized interracial marriage and has been instrumental in defending marriage equality rights since. To honor Richard and Mildred and the powerful effect their struggle had on countless Americans, a petition now calls for June 12, the anniversary of the decision, to be federally observed as Loving Day. Several other Loving Day events have been scheduled across the country to share the story of the Lovings and to create a common connection between multicultural communities, groups and individuals, educating the public about the history of interracial relationships in order to fight prejudice. The Loving Day organization’s hope is to establish a tradition of Loving Day celebrations as a means to achieve these goals. The Virginia Film Office has been working since 2012 to help bring the feature film version of this story to fruition. Shot in Virginia in 2015, Loving brings the lives of Mildred and Richard Loving and their struggle to remain married to the big screen. The film, shot throughout Central Virginia, was co-produced by The Loving Story’s Nancy Buirski, and directed by award-winning Jeff Nichols (Mud), and stars Joel Edgerton (The Gift) and Ruth Negga (Preacher). It was recently accepted to the Cannes Film Festival, where it premiered to critical acclaim and extensive press coverage. The feature is scheduled to be released in November 2016. 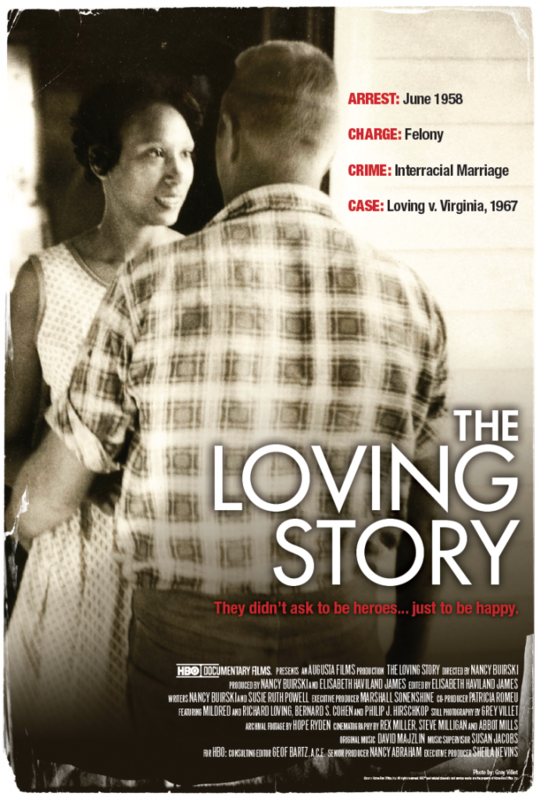 The screening of The Loving Story will be Sunday, June 12 at 4:30 pm at the Byrd Theatre at 2908 W. Cary Street. Doors will be open to the public starting at 4 pm. No tickets are necessary.